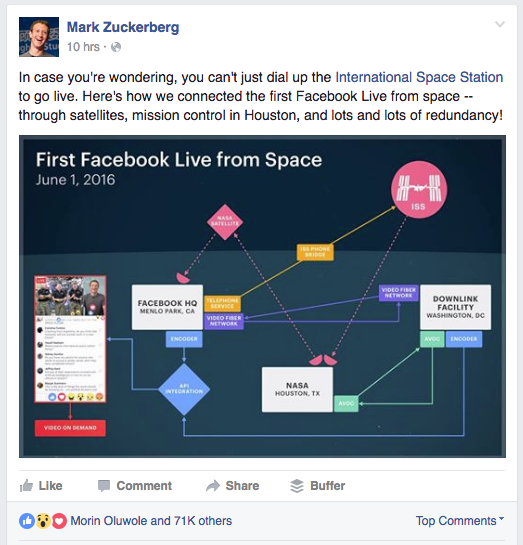 Is Mark Zuckerberg using Grafio? This morning, a day in the office like any other I was drinking coffee and going trough Facebook posts when suddenly a cool diagram appeared. 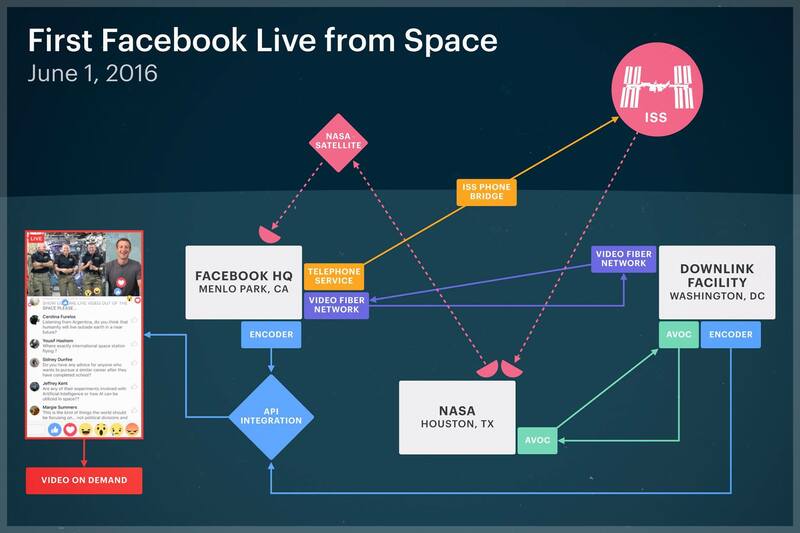 Mark Zuckerberg had posted this diagram explaining how the communication with the ISS was made in order for Facebook to broadcast the first ever Facebook Live video from Space. 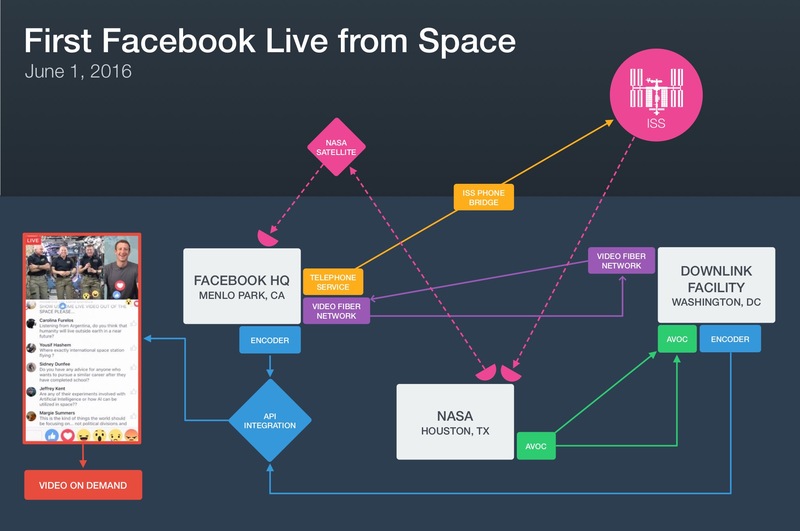 There were other live broadcasts from space before so nothing really special but the diagram was very cool and sort of familiar. Something about that diagram was very familiar to our team so we started to wonder if there is a chance it was made with Grafio. 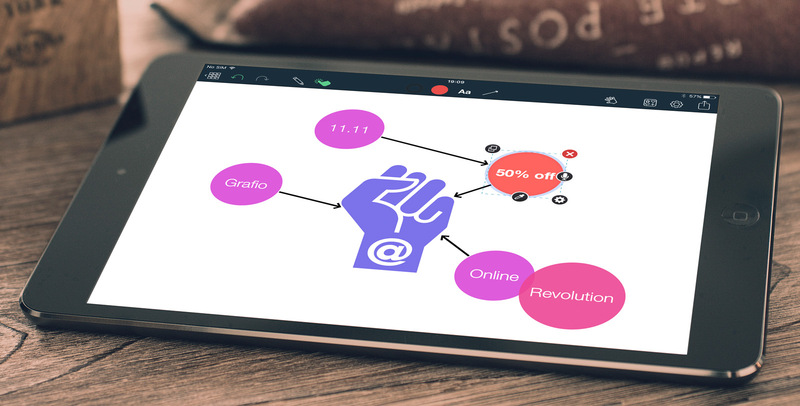 Being the makers of Grafio someone like Mark using our App would have been so awesome for us. Btw. Our team is from Bulgaria and the internet says Mark has Bulgarian heritage and was even named after his grandfather “Marko” . So it would not be such a coincidence if he is using Bulgarian software ? Right? All jokes aside I grabbed an iPad and 20 minutes later I had replicated this exact diagram in Grafio. Here it is. You can download it from our examples page and edit it in Grafio. Answering the question we were asking our team. 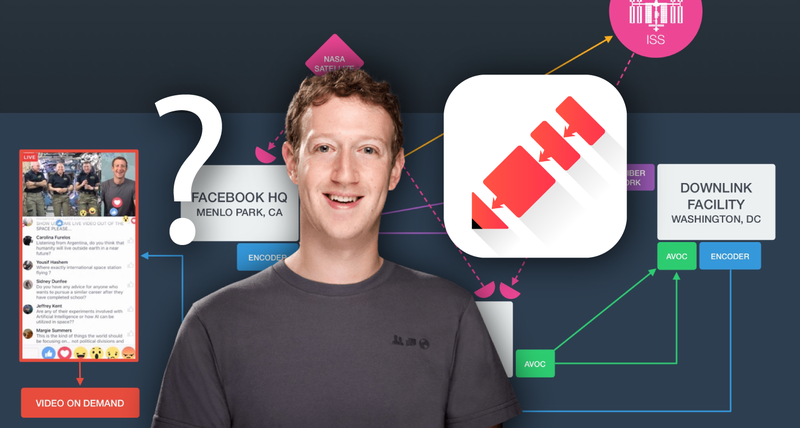 Is Mark Zuckerberg indeed using Grafio or is he using another diagramming app. When you compare the two images obviously the colors are different. The icon of the ISS is also different. Other than that it’s an absolutely identical diagram. 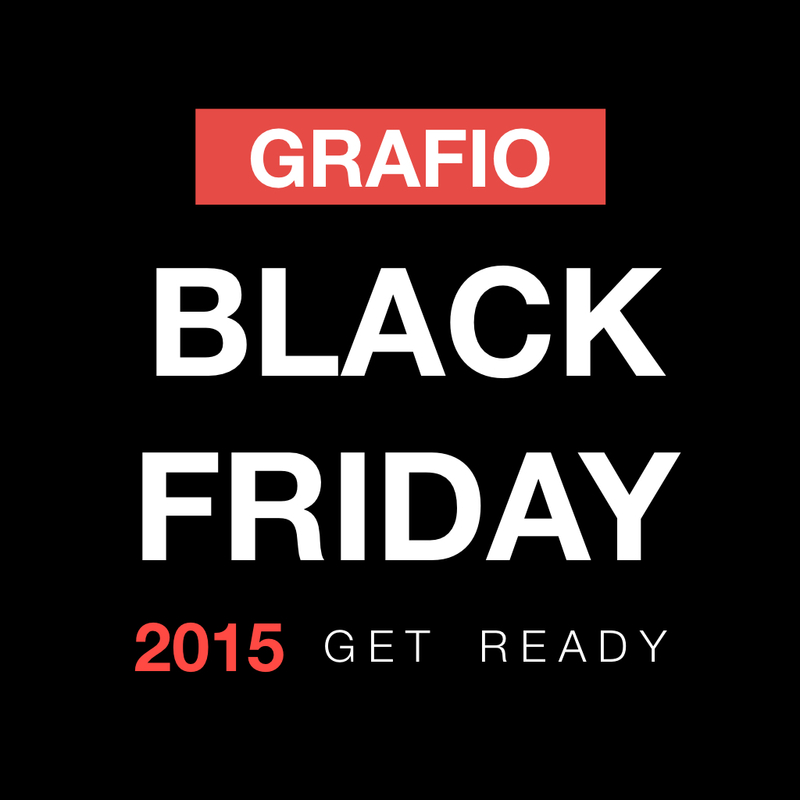 It might very well be made in Grafio. But we can’t answer if it was or it isn’t for sure. 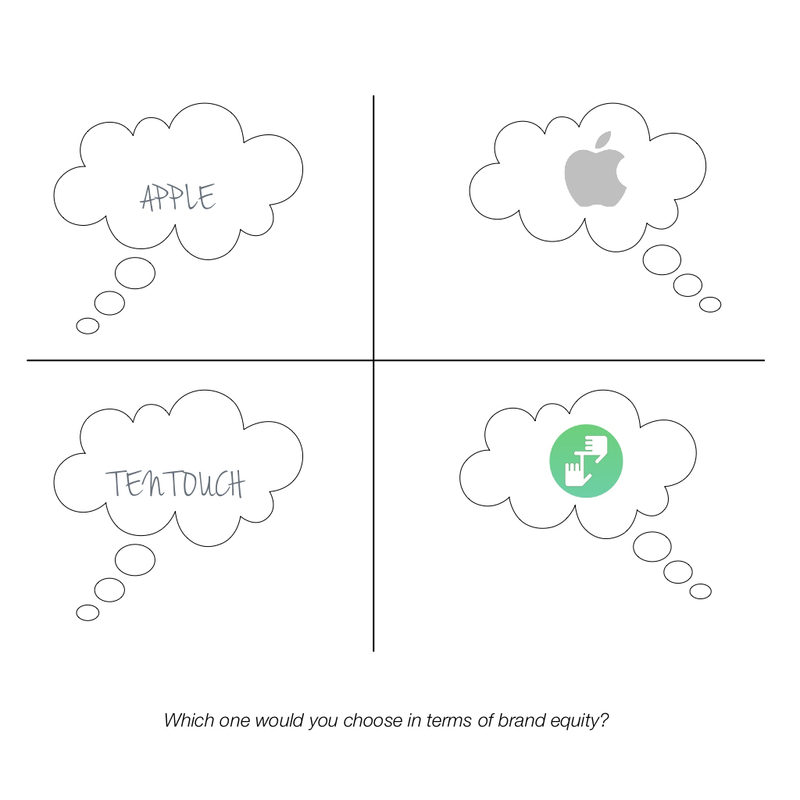 No matter what the answer is what’s important here is that diagrams are a great way to explain stuff and you should make more of them. Make your message extra special by designing your own Halloween postcard within minutes for free. Check out these funny little vector icons made in Grafio and unleash your imagination to surprise your friends. With Grafio most postcards are made within minutes and have that original feeling that you always wished for. Go ahead and download the free template shown below and start creating. If you like more examples like this one you can download plenty from here. Grafio Diagram Example Files – Resurrected from the dead! 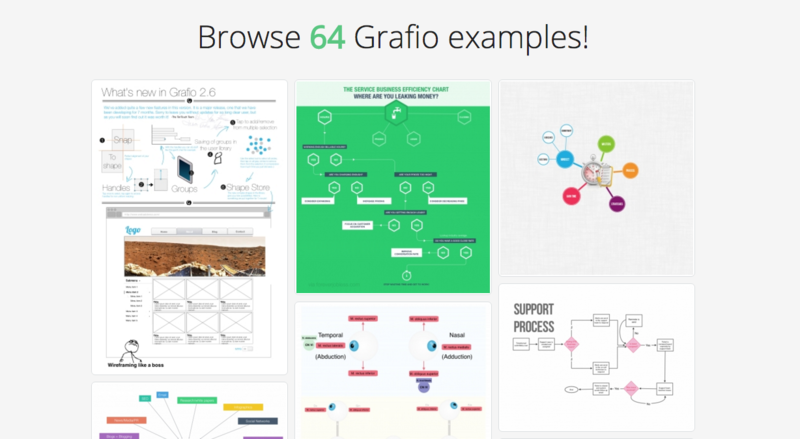 Checkout our new examples page and all the example diagrams you can download and open in Grafio. You know all those inspiration quote covers you searched for in google. Search no more, create your own. All you really need is a good photo either one of yours or grabbed from google images + an inspiration quote. Doing something so simple instead of searching google is an immensely gratifying experience. There are two ways of retrieving memories from the mind: visual and verbal, using pictures and using words. We’ll look at what describes visual vs. verbal learning in some examples. Diagraming and illustrating notes when applicable. Highlighting the main point, idea or concept. Drawing arrows to connect or associate concepts or ideas. Coloring notes by topic, concept, or idea. Verbal learners learn most efficiently if they repeat the material audibly. 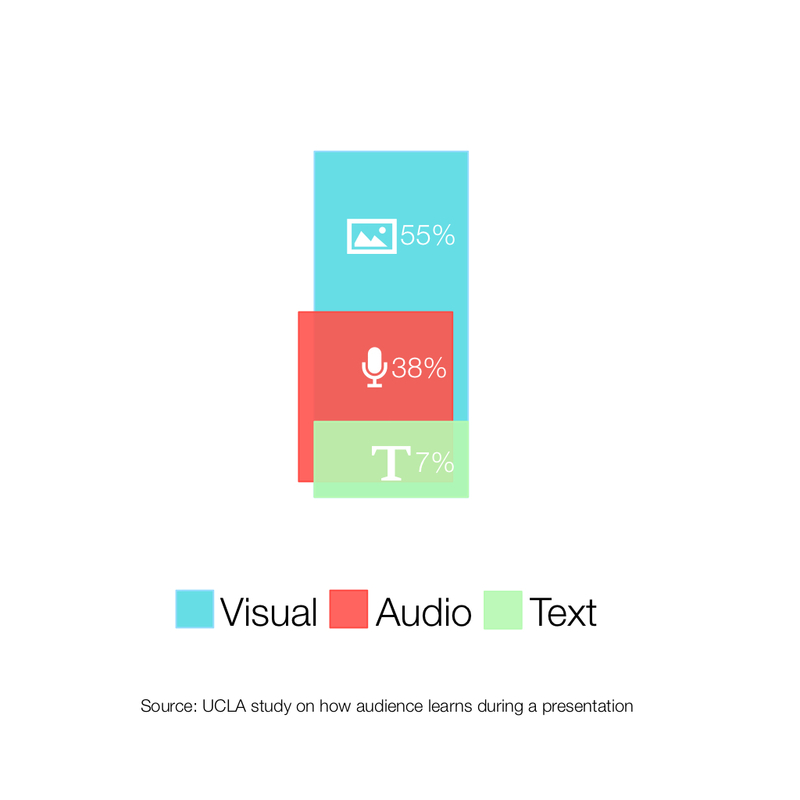 Some verbal learners may read their notes aloud to themselves as a study method. Verbal learners are often interpersonal. Of the two types of memories that can be accessed, the visual is primary. If you go back and think about a baby’s mind – at first babies experience the world from their memories trough vision. Babies don’t know what words mean, this comes later, but they can see and recognise something familiar. September is knocking on the door, everybody is preparing for school and so are we! 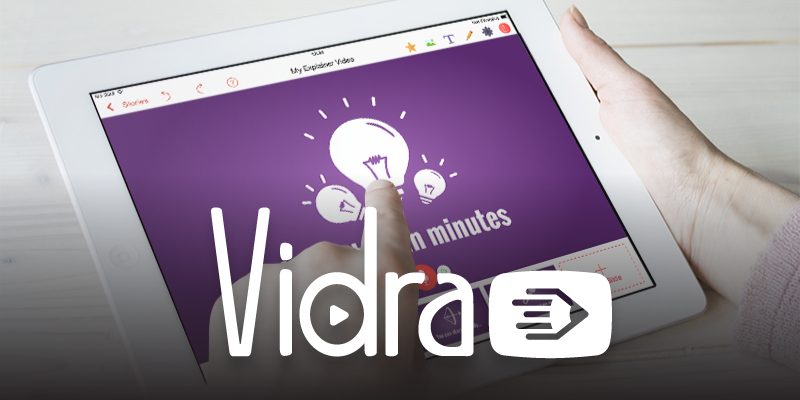 Many schools asked us if we can provide Vidra as a standalone app so they can get it more easily and budget friendly trough the available Apple educational purchase programs.